#54 I Am The Bag feat. Special Guest Ben P.
#53 Why Did You Order An UBER Pool Shaquana?! This episode we discuss problematic Uber pools, Mental Health Awareness Day while also getting to know each other during our Hella Questions segment. #50 Live & In Living Color - Our 1st Live Anniversary Show! Genevieve and Crystal interview Stephanie Campbell & Veronica Chapman of Thank You Tees. Queen’s Company | IG: @queens.company | Facebook: Queens Co.
Genevieve and Crystal discuss rats in restaurants, goats on cars and gun violence awareness month. Genevieve and Crystal interview poet, spoken word artist, social media marketer and artist manager Amanda Shea. Why Is the TSA Still Searching Black Women’s Hair? Genevieve and Crystal interview recording artist Oompa. Genevieve and Crystal interview Leora Viega Rifken & Justin Springer of BREAD Boston. Genevieve and Crystal interview Ms. HotSauce of the Henny & Hotwings Podcast! Crystal interviews Manoucheca Lord & Christine Williams of the Milli Blog. Genevieve & Crystal discuss entrepreneurship and communication skills. Genevieve & Crystal interview R&B/Pop singer Marcela Cruz. 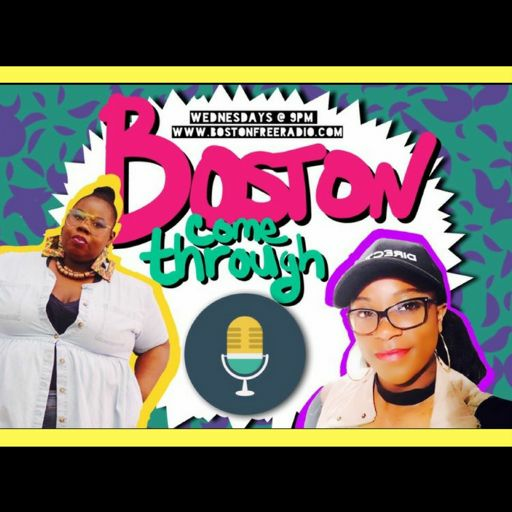 Genevieve & Crystal interview feminist rapper Brandie Blaze. Royale L’Radin and his Revolution to Inspire. Boston Where You At?! What’s with the us not showing up to important events? Genevieve & Crystal's very first episode! Tune in as they discuss Kevin Hart's cheating ways, Issa Rae's Insecure finale, Rihanna's Fenty makeup and much more!